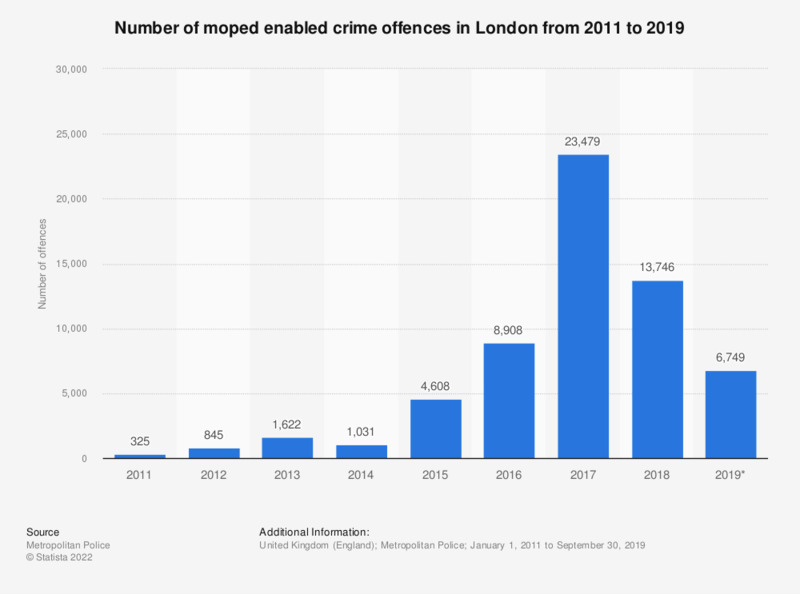 This statistic shows the number of offences committed by suspects riding mopeds or motorcycles in London from 2013 until 2017. As can be seen in this statistic, in 2017 the number of moped or motorcycle crime offences committed was almost 24 thousand compared with only 1053 in 2014. The surge in moped crime is one of the most widely reported aspects of increasing crime in London in recent years. Figures from the Metropolitan Police only, this does not cover the 1 square mile covered by the City of London Police.